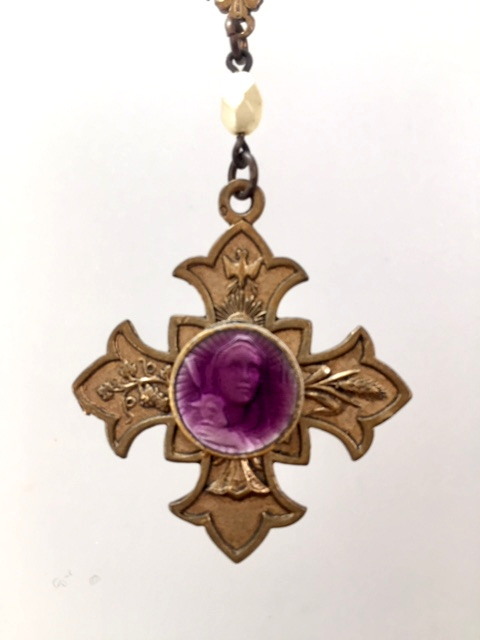 A Stunning combination of an antique Royal Purple Guilloche enamel Saint Agnus and the Lamb medal with a solid Bronze 3 Way medal on a Gothic Bronze Cross. It is suspended from faceted Pearls and Matte Bronze beads. The Cross has the Dove of Peace, Grapes, which is symbolic of Charity and Wheat, which represents the bread of the Sacrement of the Savior's Last Supper. 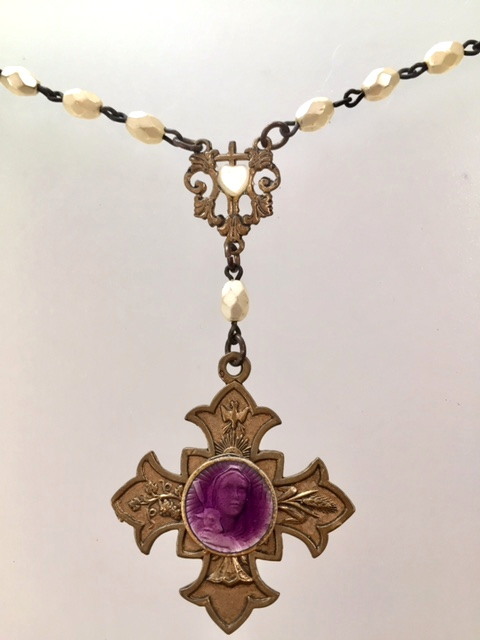 I added a delicate Mother of Pearl Heart on the charm above the Cross. Pearls, symbolize Purity, Spiritual Transformation, Charity, Honesty, Wisdom and Integrity, all the best within us. 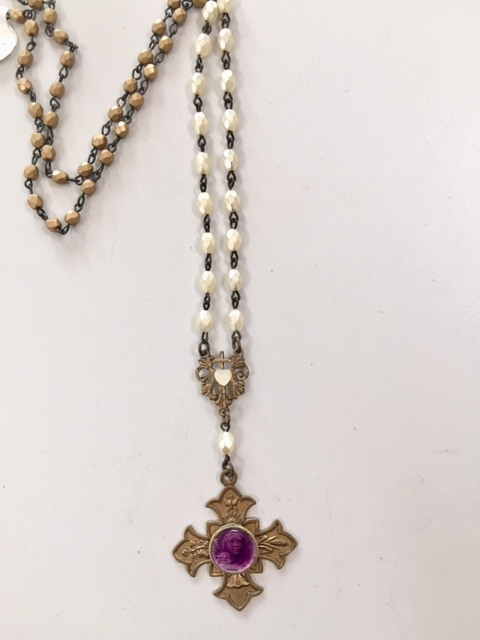 Necklace is 28" long and Cross is 1.5" by 1.5.